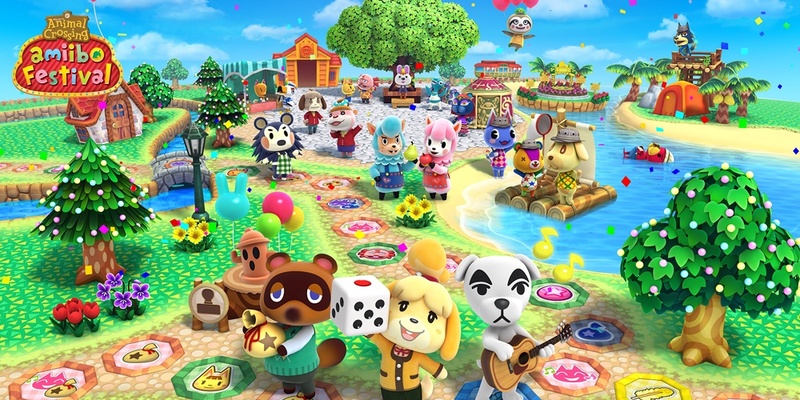 If you have a Wii U then this game Animal Crossing Amiibo Festival is something you should get. It's a lot of fun and it's good to all ages. If you have played the Mario party games then you will get an understanding of what the game is about. It's very similar to that but just has an Animal Crossing theme and you can do different things on it. So the aim of the game is to get the most money and happiness. Each 1,000 bells is equal to 1 happiness. As you go through the game there are different spaces to land on, good or bad. Both can change the amount of money or happiness that you have or change both of them at the same time. So the aim is to try and avoid the bad spaces. 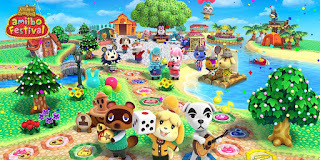 Also what makes this game harder and more interesting is that in each of the corners there are Gyroids when you get to each one they give you happiness and the happiness goes up the more you get. Once you've got them all you get given 30. It could help you get into the lead of the game. Each game is a month long and you can choose which month of the year you want to do. With each month on Sundays of every month Joan the person who sells turnips will sell them to you and it's up to you how much you buy. But she only sells them in bundles of 10. In the first week she will give you 10 for free. This is more of a tactic thing, and makes you really think about how much you want to buy with how much money you have. During Mondays to Saturdays you are able to sell your turnips but on each space will be a different price and depending how well the turnip market is doing depends on how high or how long the numbers will be. Some days they may be closed so you have to be careful when you are thinking about selling them. There are also cards throughout the game that you can get that will either help you or do something bad to the other plays. It is up to you when you use them but they do cost bells. Some days there are events that will be held like a BUG OFF, and you might win happiness or you might win something bad or nothing. So now you know the basics of the game I'm going to be talking to you about the characters. They are very important to the game as when you buy them they control the dice. When you are not using them they make a good ornament for your room. You can collect them all and the aim is to level all of them up, as you do so you get costumes and tickets. The tickets allow you to buy things like a park to put into your town or a mini game. This I love as you can decorate your town to how you like it. There are so many things you can do on the game and every time you play the game will have a different outcome. So you will never get bored. It's a good fun family and friends game, doesn't matter your age. I play it with my friends and I'm 19. Also Millie plays it and she's 13. It's easy to understand so once you've played it once you'll know how to play it for next time no trouble. Then you can start thinking tactics! See you next week for another blog post.